Conservationists are used to bad news. It comes with the territory. Which means celebrating good news is even sweeter than usual! Last week something incredible happened in Tianjin, just a few hours from Beijing. A pair of Endangered ORIENTAL STORKS (Ciconia boyciana, 东方白鹳) was breeding on an electricity pylon. The local grid company was concerned about transmission safety and wanted to remove the nest. Local birders and conservation groups protested and appealed for help from international conservationists who had experience of this issue overseas, hence a plea on Twitter. Several people responded (thank you Eddie Myers, Keith Duncan and Anne Sytske Keijser), and we received some fantastic information from José Luis Copete in Spain and Guy Dutson in Australia. Local volunteers were able to use all of this information to persuade the company to erect a special platform adjacent to the original nest, allowing the storks to continue to breed whilst minimising the risk to grid safety. Happily the storks accepted the minor inconvenience! The full story (in Chinese), with photos, can be seen here. Big thanks to José Luis and Guy and, in particular, to the local volunteers, including our good friend Mo Xunqiang (Nemo), who, along with friends Yang Jiwen from Binhai Wild Protection Centre and Wang Jianmin from Tianjin Binhai Wetland and Bird Conservation Society, persuaded the company to take this action. As we understand it, it’s the first time in China that such action has been taken to preserve a nest considered to be a risk to electricity transmission security. Let’s hope it sets a precedent. Featured photo by Mo Xunqiang. A Turning Point in China? 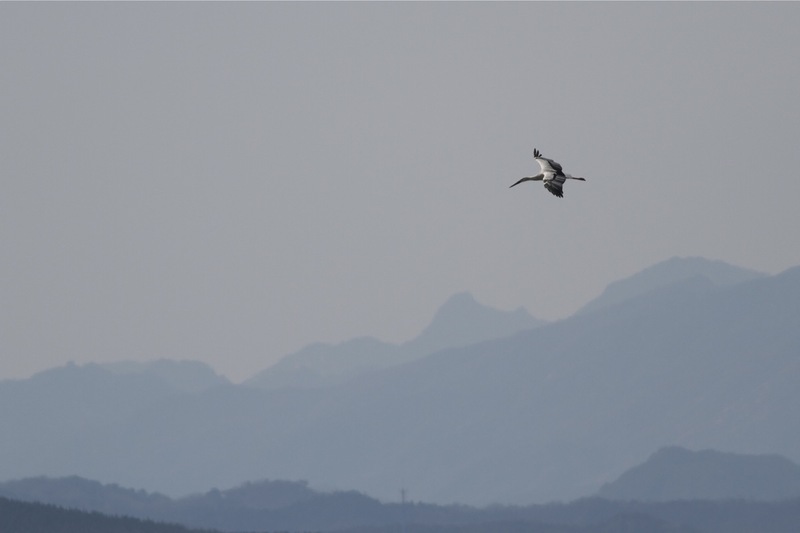 I have just written an article on Birding Frontiers and Talking Naturally about the ongoing ORIENTAL STORK poisoning incident at Beidagang, near Tianjin, and how, thanks to the action of local heroes and social media, it could just be a tipping point in the protection of wild birds in China. Posted on November 16, 2012 November 18, 2012 Categories UncategorizedTags Conservation, Oriental Stork, Tianjin4 Comments on A Turning Point in China? 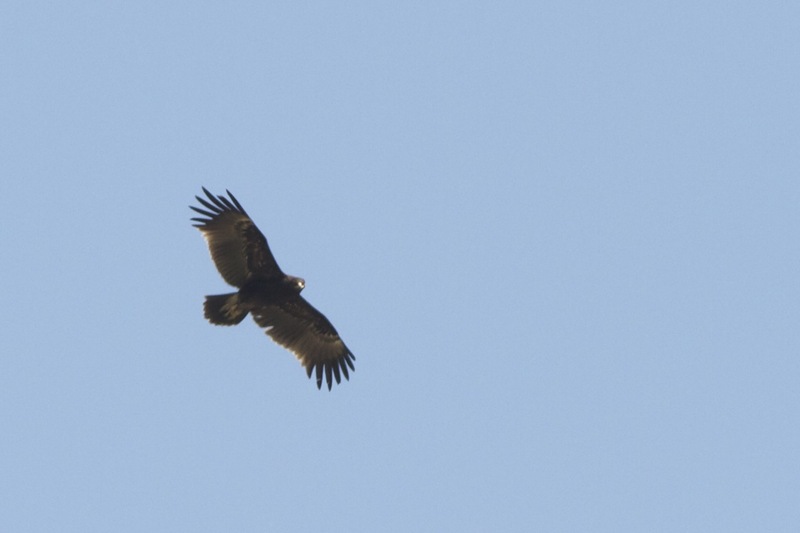 Greater Spotted Eagles and more..
On Saturday I made my usual visit to Wild Duck Lake. Starting at Ma Chang, it was soon obvious that there were no Oriental Plovers on site.. It’s been an incredible spring for this bird and a joy to see so many pass through Ma Chang but I guess the run of seeing these birds had to end sometime. 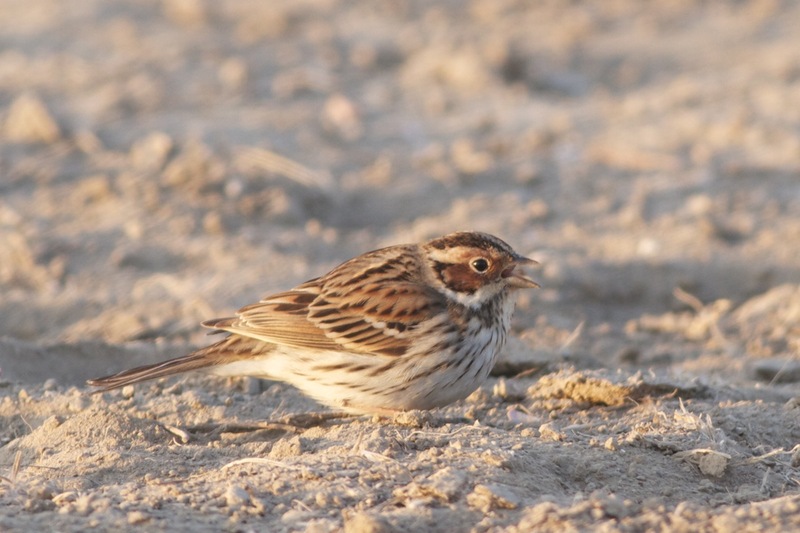 After daydreaming a bit about where they are now and wishing them well for a successful breeding season, I focused on the birds that were here – a few Richard’s Pipits, singing Asian Short-toed Larks, Little Ringed Plovers and flock after flock of Little Buntings… many of which were singing. A great sight and sound. Little Bunting singing. Flocks of these gorgeous birds were a feature of Saturday at Ma Chang. 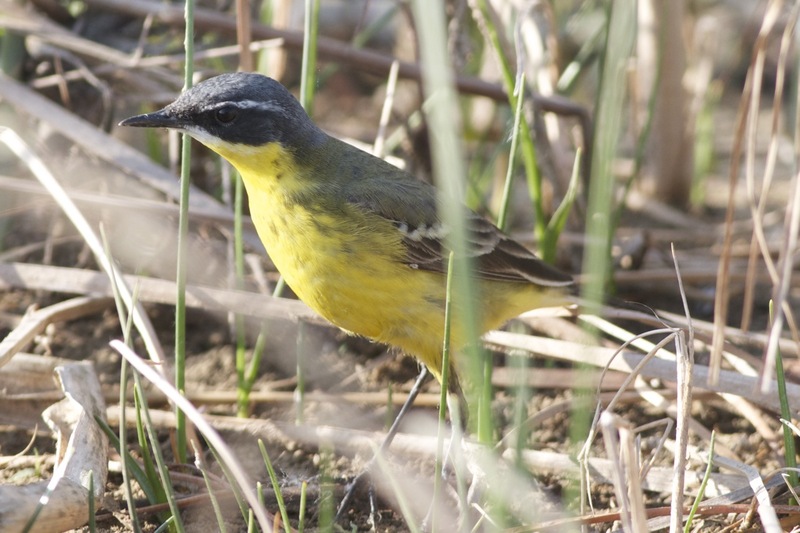 The excursion out to the yurts, as on Tuesday, produced lots of pipits and wagtails, with Eastern Yellow Wagtail the most numerous. I saw both macronyx and tschutschensis subspecies. There were a few Citrine Wagtails around, including this stunning male which posed on a fence post.. 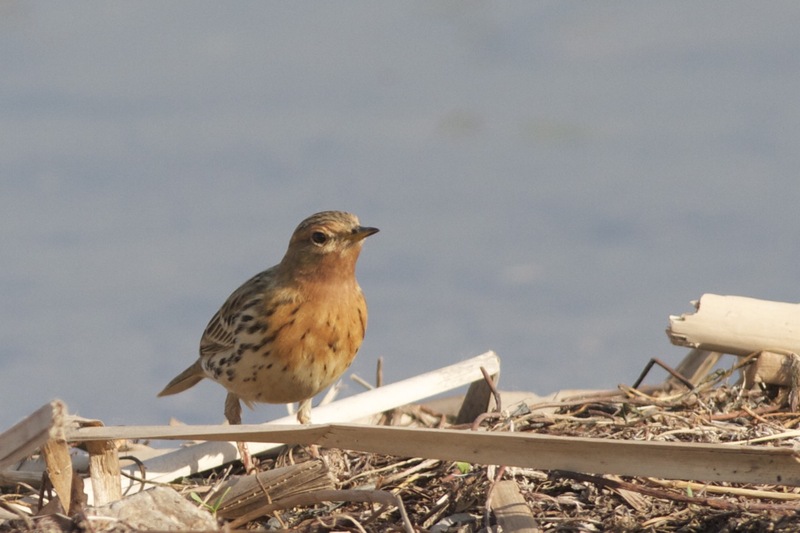 The pipits were mostly Red-throated and one, in particular, was very red – almost a Red-breasted Pipit! A few Little Terns were patrolling the reservoir with many Common Terns (of the ssp longipennis) and a pair of Whiskered Terns but wildfowl was very thin on the ground (no Ruddy Shelduck for the first time this year). The walk back produced a ‘Swintailed” Snipe which I flushed from a dry-ish verge. The call was very distinctive – dryer and less ‘squelchy’ than Common Snipe – and the bird lacked the warm tones of Common Snipe in flight. Swinhoe’s and Pin-tailed Snipe are currently unidentifiable in the field unless one can see well and count the tail feathers.. hence the term “Swin-tailed” Snipe. A check of the reservoir proper produced single pairs of Ferruginous Duck and Garganey and a group of Oriental Pratincoles arrived noisily from the east. A male Eastern Marsh Harrier spooked both the few remaining Pallas’s Reed Buntings and the newly arrived Siberian Stonechats. The walk back produced a splendid singing male Black-faced Bunting, Chinese Blackbird (my first at this site), several Pallas’s Warblers and a handful of Red-throated Flycatchers. As the day warmed up, I sensed it was going to be a good raptor day and, as I arrived at Yeyahu, it was with anticipation that I headed out to ‘eagle field’. Sure enough, after only a few minutes, I caught sight of an eagle and, setting up the telescope, I was able to confirm its identity as a Greater Spotted. Nice. Then a second bird appeared and the two interacted for a while before heading east. 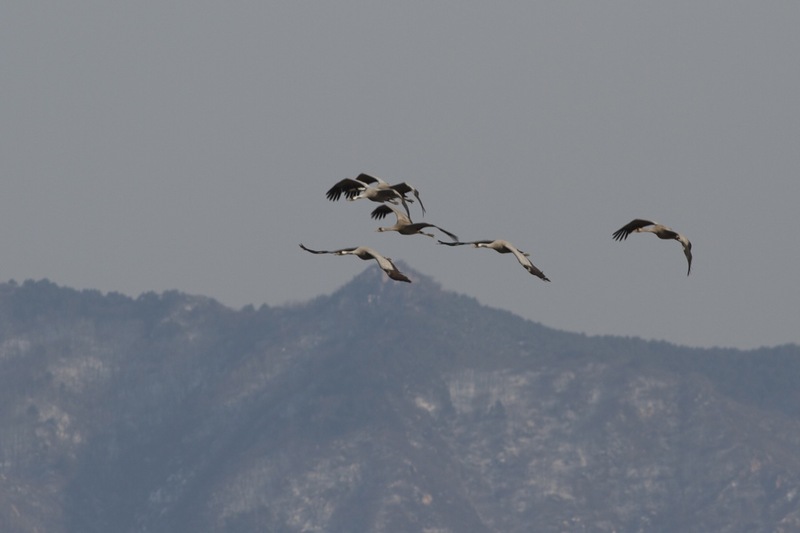 As I watched them fly purposefully towards the mountains, I saw a group of white, long-necked birds soaring high… spoonbills! There was no chance of identifying them to species but they were probably Eurasian (Black-faced is extremely rare in Beijing). As I continued to walk towards the reservoir, I was constantly flushing groups of Little Buntings.. they were everywhere. 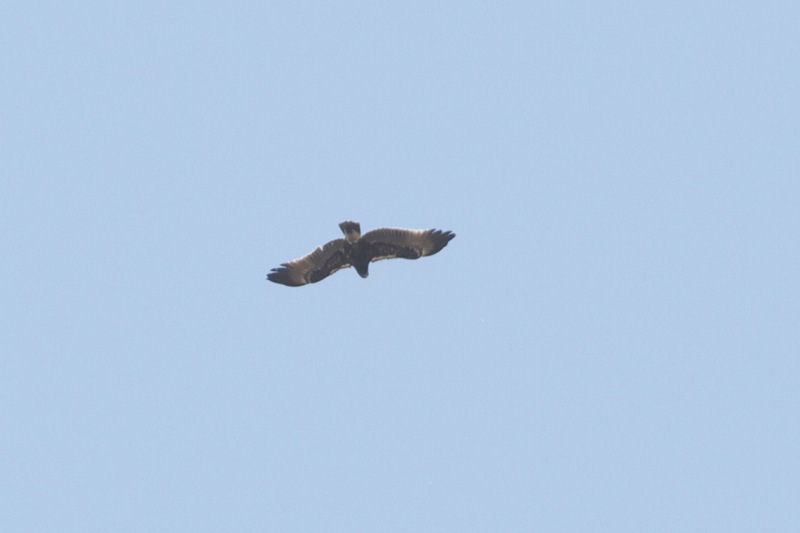 I was frequently scanning the skies for more raptors and very soon I was watching another Greater Spotted Eagle.. this time quite a ragged older bird. Setting up the telescope, I soon found a large bird through the eyepiece but, as it banked, I realised it was rather white and was clearly a different bird – Oriental Stork!! That’s a rare bird in Beijing, especially in May. 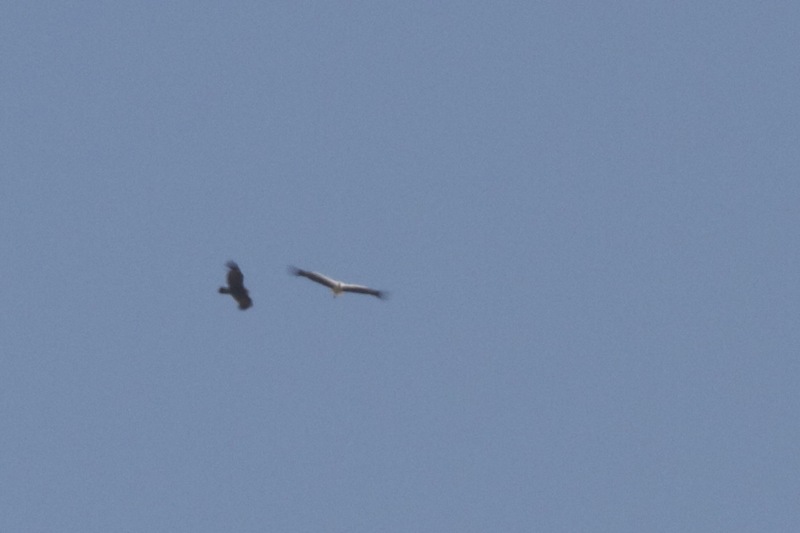 As I was watching it, the Greater Spotted Eagle came into the same ‘scope view and, although distant, I watched these two birds soaring on the same thermal for a couple of minutes before the stork headed east. Not long after these sightings, I looked up again (my neck was beginning to ache at this point!) 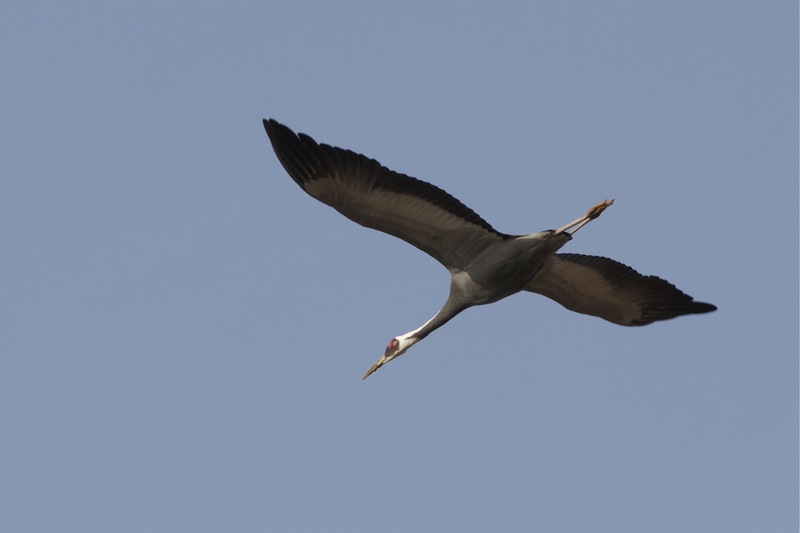 and saw another bird soaring high.. this time a Black Stork..! 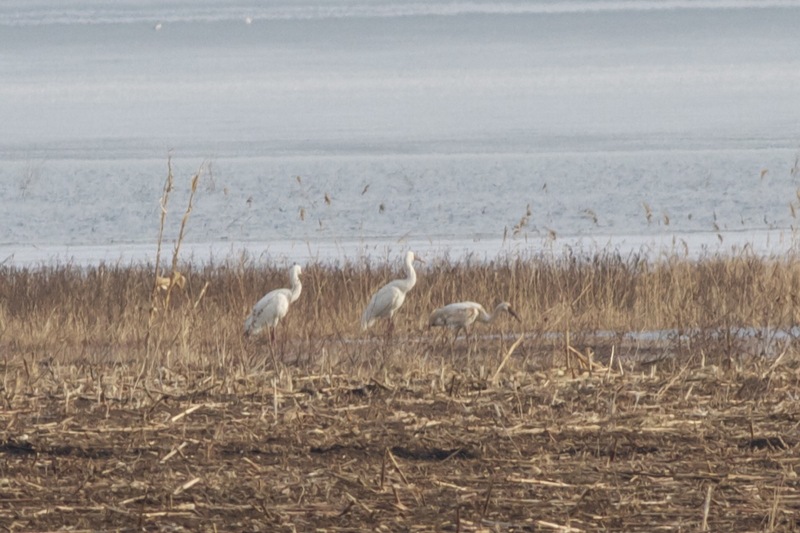 It followed the same line as the Oriental White Stork from before and soon disappeared to the east… next stop Beidaihe! A couple of Japanese Quails were singing as I approached the tower at the reservoir edge and it was here that I was surprised to find a group of 10 Ferruginous Ducks… this duck used to be rare in Beijing but in recent years numbers have increased.. this flock could represent the highest Beijing count. On the walk back I took a water break (it was hot) and sat overlooking the fields. After a couple of minutes, three Tolai Hares appeared and started to chase each other around.. sometimes leaping into the air.. it was a spectacular show. Then an Eastern Marsh Harrier appeared and the hares went crazy.. they kept leaping vertically into the air! I though that they may have young in the fields and wanted to distract the harrier but I’m not sure.. Just as the harrier drifted away, the hares resumed their chasing and it was then that I noticed a Greater Spotted Eagle hanging in the air high above them. Suddenly it dropped like a stone…. For a second I thought I would witness the eagle taking a hare right in front of me but, around 10-15 metres from the ground, the eagle pulled out of the dive and banked away.. maybe it saw me? 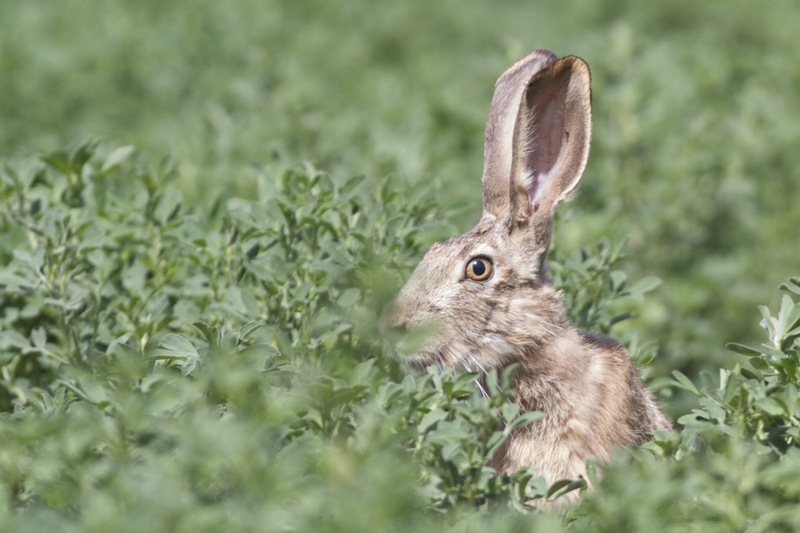 Even so, it was a spectacular dive and the hares didn’t suspect a thing! I think the hares’ eyesight must be quite poor.. they frequently ran close to me and, only when I moved or made a noise did they notice me..
Tolai Hare checking me out, Yeyahu NR, 5 May 2012. At this point, time was getting on, so I reluctantly left the hares to it and made my way back to the car for the drive back to Beijing. Yet another good day. Chinese Blackbird – 1 male singing in the plantation north of Ma Chang. 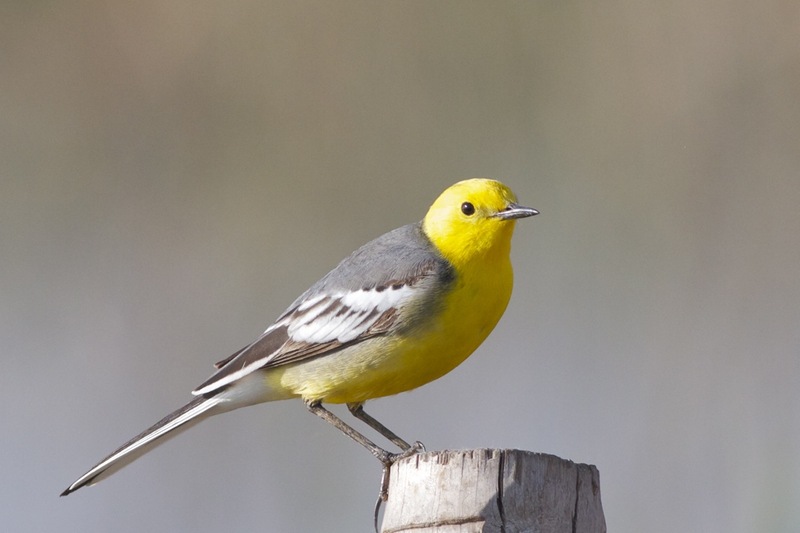 Posted on May 7, 2012 Categories UncategorizedTags Citrine Wagtail, Eastern Yellow Wagtail, Greater Spotted Eagle, Little Bunting, Ma Chang, Oriental Stork, Red-throated Pipit, Tolai Hare, Yeyahu NR8 Comments on Greater Spotted Eagles and more..